Does my Carport need Council Consent? This is a common question we receive and unfortunately there isn’t a simple answer. 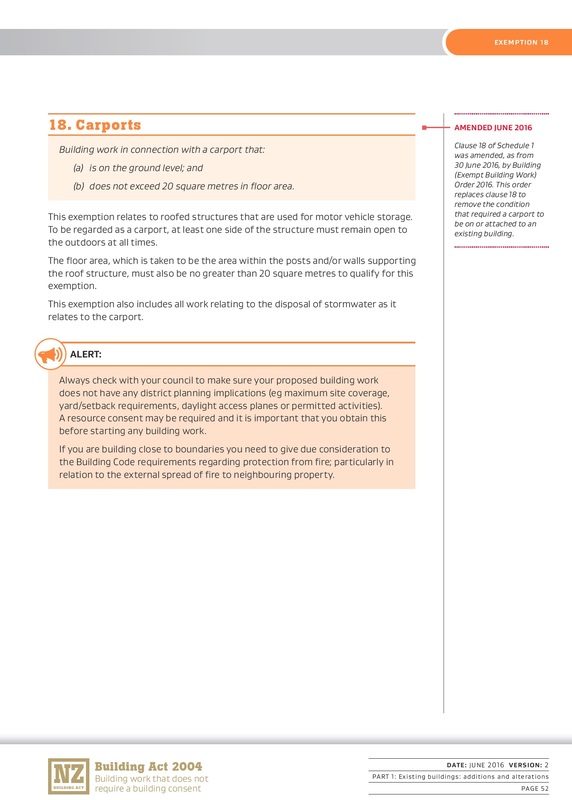 Below are a list of guidelines to be aware of when purchasing and installing your carport, it is always best to contact your local council as regulations and rules do change between Councils. There are two types of Consent to be aware of, Building consent and Resource Consent. Building consent is related to the Carport itself and whether it meets the building guidelines, whereas Resource consent is related to your local councils district plan and is usually relative to positioning on your property. Carport Size: Carports under the floor area of 20m2 do not require building consent! This means our single carports don’t require consent! This is taken by the floor area of the carport not the roof area. The Formsteel Carports are a great design where the posts are cantilevered front and back meaning we can get a range of carports under 20m2. Carport positioning: Usually carports need to be 1.5m off side or rear boundaries, however you can get closer with Neighbors written consent. If your carport is to be positioned at the front of your property and will be in front of a garage or dwelling these rules are different again – this is best to check with the council and may involve resource consent. The Formsteel shelters are an NZ made structure and have been designed and made to suit NZ codes and Conditions – they are rated for Very High Wind Zones and even certain snow zones! Our Shelters have been designed by an Engineer and come with current engineering paperwork and a PS1 – an NZ made product you can trust. If your carport needs council consent we will be able to provide you with the relevant paperwork for your Council. These guidelines have been written to the best of our knowledge, we do suggest contacting your local council to discuss your project.